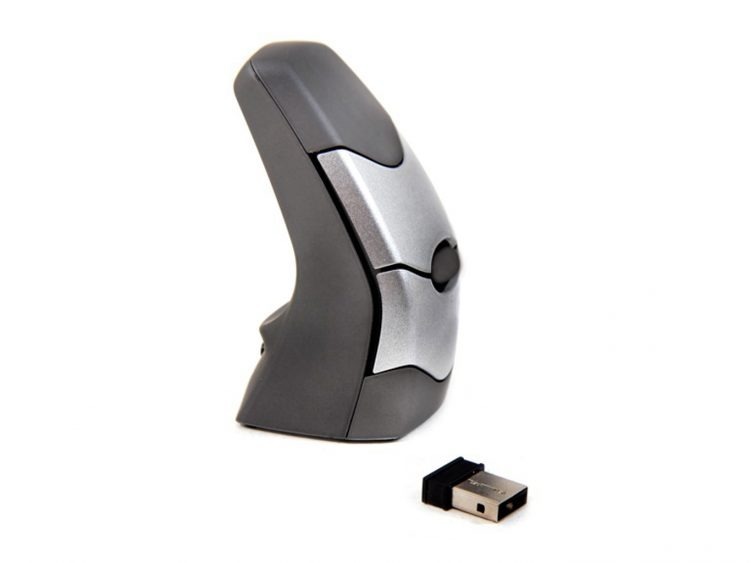 Compact ergonomic mouse with unique vertical shape that allows for a neutral grip. 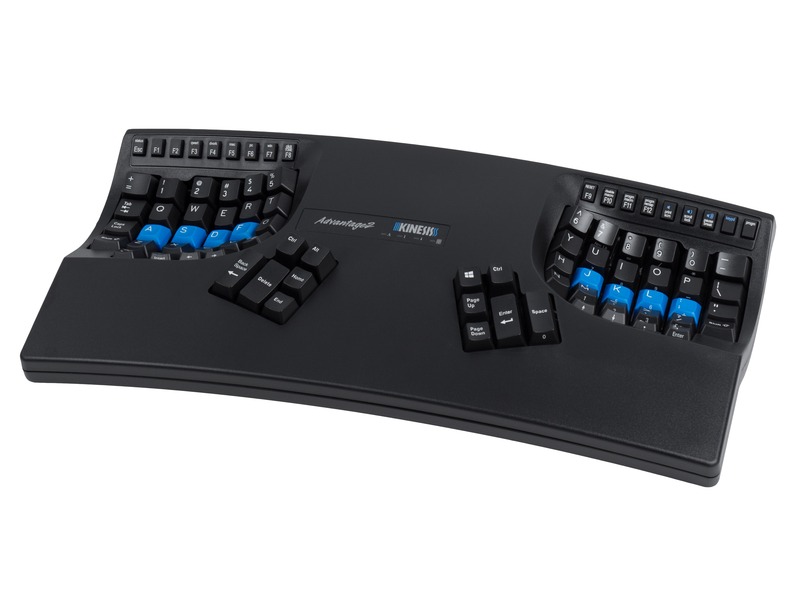 Ambidextrous design for right and left hand use. RF wireless connection via USB dongle. 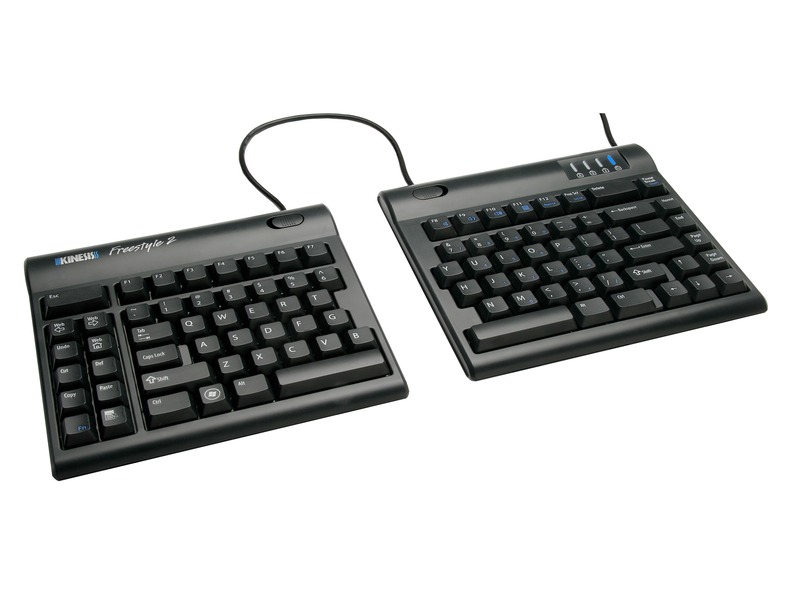 All refurbished units are thoroughly factory tested, inspected and cleaned. Backed by the same 2 year limited warranty offered with our new models. The New DXT 2 Wireless Mouse is a compact ergonomic mouse which has been expertly designed by a team of leading UK physiotherapists and ergonomists. The DXT 2 promotes a neutral (more vertical) wrist posture while allowing the hand to work with a light touch fingertip hold providing precision cursor control. 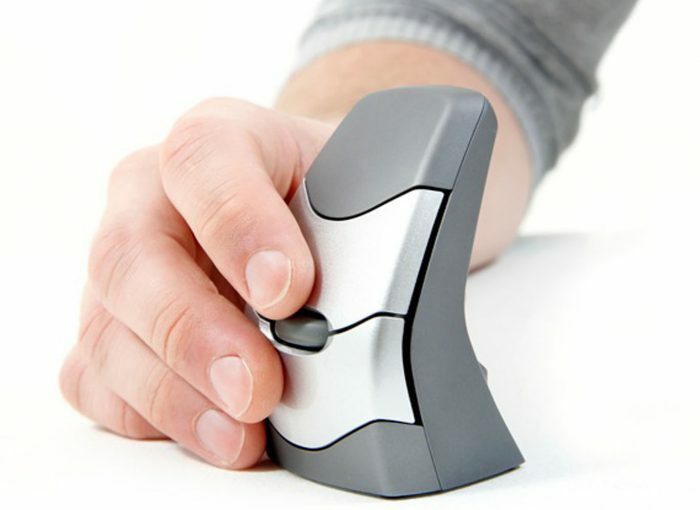 It is the only compact right and left handed ergonomic mouse designed to use the precision movements of the hand. 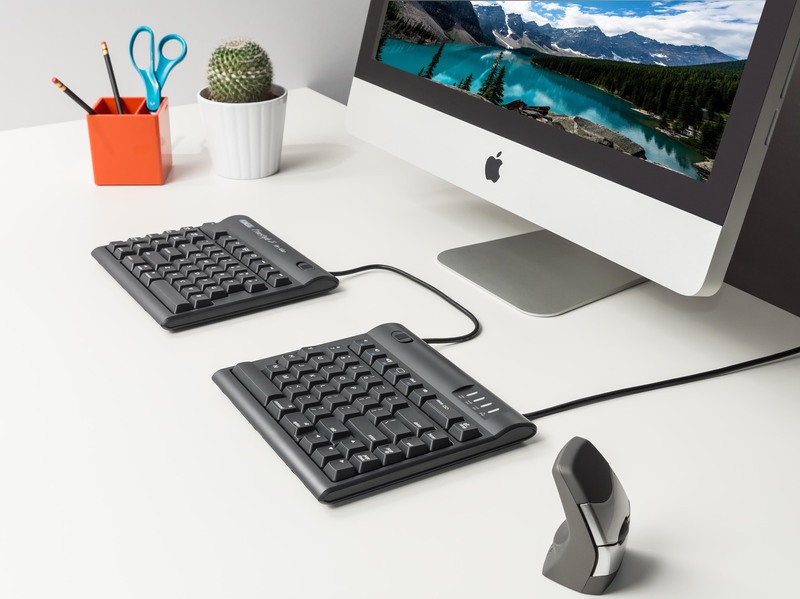 Unlike other vertical mice, the DXT 2 is grasped like a pen in the “precision” grip which engages the small muscles and joints of the fingers (as opposed to large muscle groups of the shoulder) which are adapted for finer, precise movements. 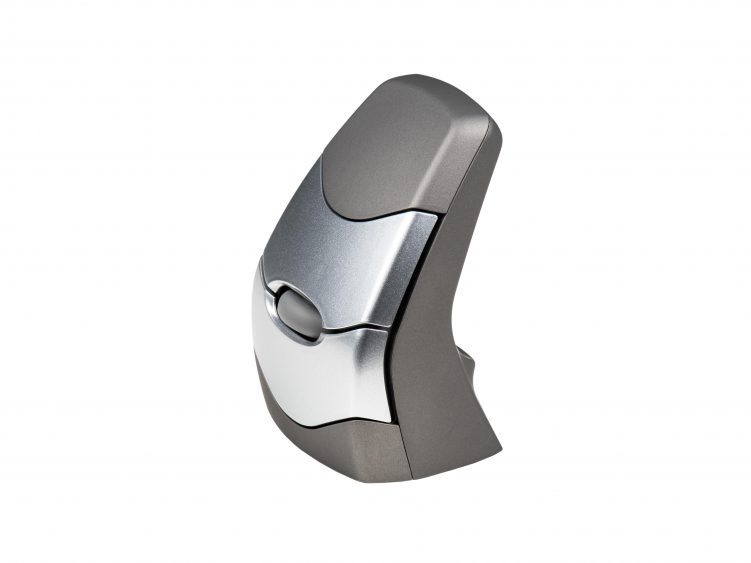 A mere 30 seconds of charging will support 2+ hours of use and a full charge (2 weeks of normal use) takes just 90 minutes. 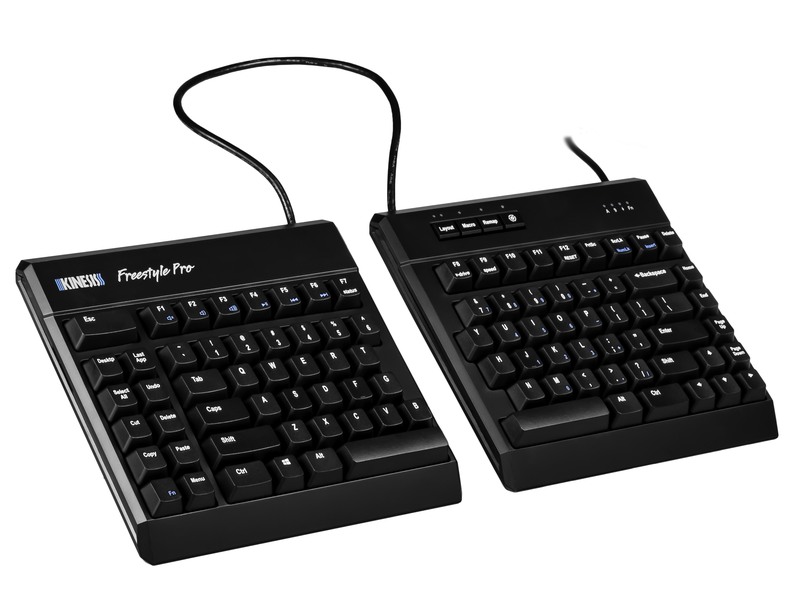 The included RF dongle plugs directly into one of your computer’s spare USB ports for quick, reliable pairing, unlike bluetooth mice which can suffer from dropped connections. Connection: The micro dongle must be plugged directly into an available USB port on the computer, not through a hub. 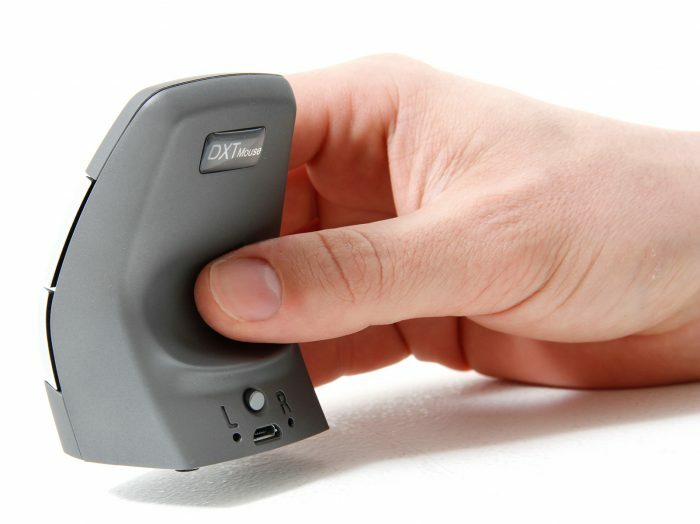 Rapid charge system of 30 seconds allows 2+ hours of use. A full charge of 90 minutes allows up to 2 weeks of normal use. 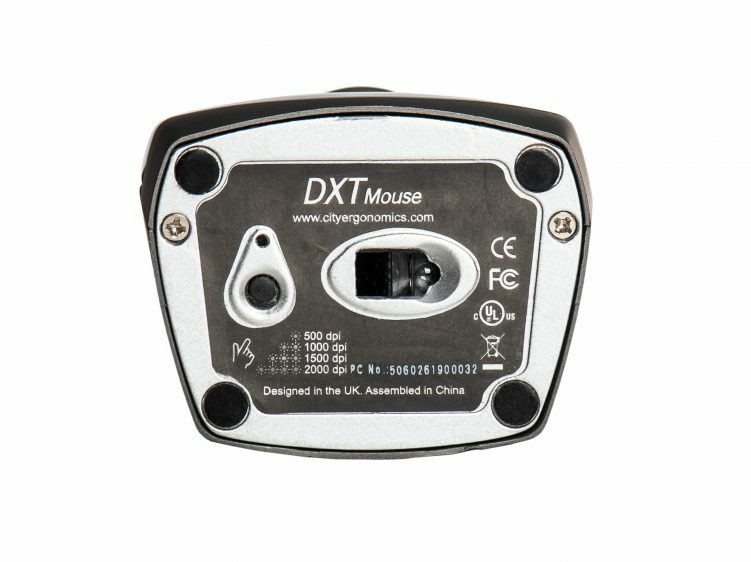 NOTE: The DXT is designed to only charge via a desktop or laptop computer’s USB port. 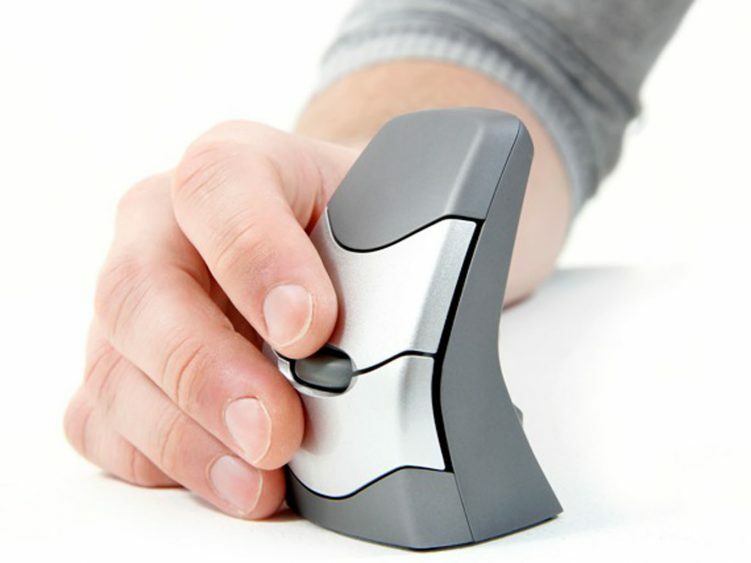 Charging via another device such as a phone charger may damage the mouse.